What can you gain from seeking care at a dental practice that provides a modern approach to your treatment? Your Santa Monica, CA dentist’s office is proud to offer work that looks remarkably lifelike, while also taking care to make your time in the dentist’s chair as comfortable as possible. One area where modern care can benefit you is in treatment for periodontal concerns. If you need care to address an issue with your gums, your dentist can use lasers to provide a better experience. This technology can ensure that you recover faster, while also limiting your bleeding. Using laser technology also means that the procedure is more precise, so the work you undergo is more closely focused on problem areas. With lasers, your dentist can carefully remove damaged periodontal tissues, thoroughly clear away plaque and tartar under your gum line, and even shrink periodontal pockets that are forming because of gingivitis. This approach makes it easier to only remove infected tissues, and the lasers can close wounds, so there is less bleeding. Taking care of your periodontal problems is important if you want to keep your smile in good health. Through this advanced work, your dentist can protect you against potentially serious troubles with your gums, and help you avoid consequences like tooth loss. Counting on modern care can mean enjoying a more comfortable procedure, but it can also mean work that is more attractive. 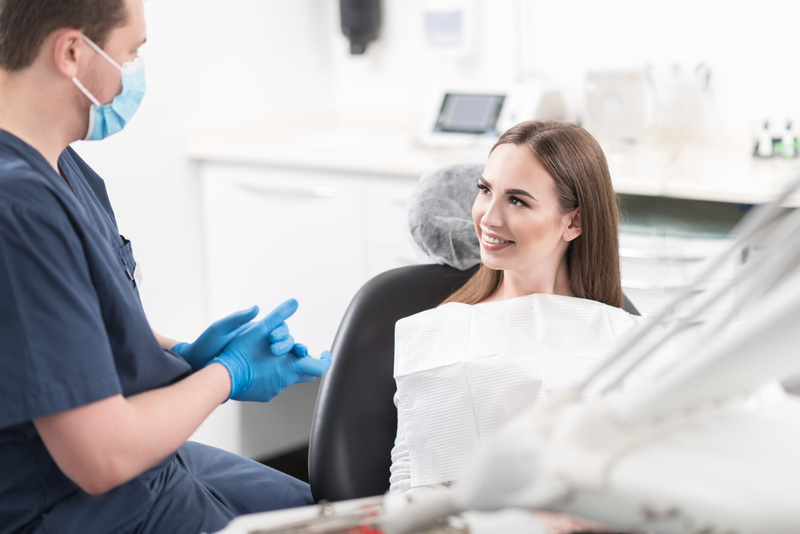 When you need restorative dental work done, you can receive a dental filling or dental crown that offers support for your tooth’s function, and its appearance. These attractive, modern restorations can look great, and they are able to offer support for many years! You can look forward to dedicated, modern smile care from Santa Monica Dental Arts! If you need work done to address periodontal troubles, lasers can provide a more careful and precise treatment for you. To learn more about the services we offer, or to schedule a consultation with Dr. Moeiz Koshki, call Santa Monica Dental Arts in Santa Monica, CA today at 310-395-1261. Is A Dental Crown Really Able To Improve Your Smile? © 2019 Santa Monica Dental Arts. All rights reserved.